Our implantable device detects infection at its source, enabling treatment much earlier than current methods. The device relays information to a smartphone for analysis and reporting. Measurements are fast and clear. Our easy-to-use system gives patients control over their own health, in their own homes. 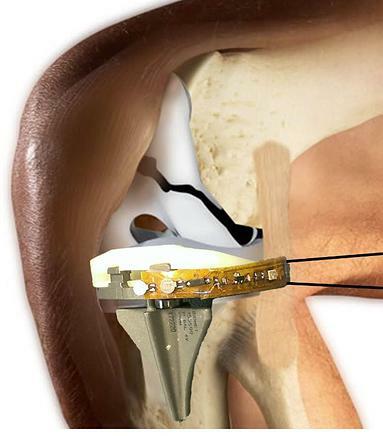 Infection is the leading cause of premature implant failure after knee replacement surgery, costing the US healthcare system over $4 billion each year. An implantable device that wirelessly monitors joint health: no hospital visits, no additional surgery, just an implant and a smartphone app.